Posted February 28th, 2014 by Andrew Lodge & filed under News. Posted February 28th, 2014 by Andrew Lodge & filed under Community News. Posted February 28th, 2014 by Andrew Lodge & filed under Community News, News. Posted February 27th, 2014 by Andrew Lodge & filed under News. Posted February 26th, 2014 by Andrew Lodge & filed under News. Scrumptious breakfast kicks off Lifetime Seminar! Posted February 26th, 2014 by Andrew Lodge & filed under Community News, News. Posted February 25th, 2014 by Andrew Lodge & filed under News. Posted February 24th, 2014 by Andrew Lodge & filed under Community News. 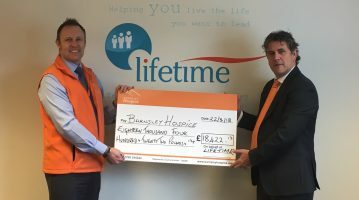 Lifetime has received a lovely ‘thank you’ letter from Barnsley Churches Drop-In Project, after our Lifetimers donated around 75 tins of tomatoes. 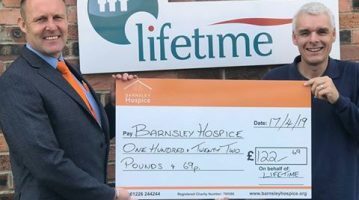 The BCDP secretary Caroline Hyde wrote: “We would like to thank everyone at Lifetime for their kind donations of tinned tomatoes to the Barnsley Churches Drop-In Project. “We really appreciate your wonderful generosity….